I’ve followed the Cove Guardian campaign Infinite Patience for a few years now. I’ve seen all the pictures posted and watched the livestream on multiple occasions. However, nothing prepares you for the first time you witness and go through a drive hunt and then slaughter. 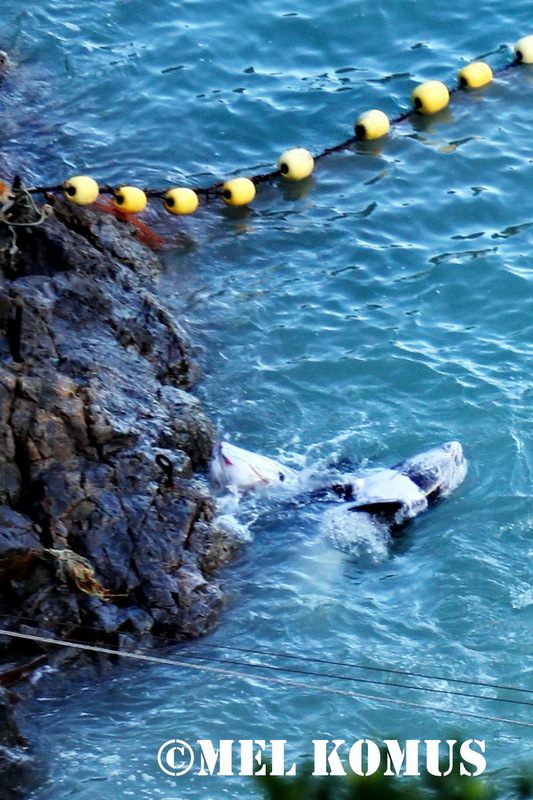 There really was no rest for me upon arriving in Taiji, the best way to describe it was first day first slaughter, second day second slaughter. I’ve included some of the photos posted to Cove Guardian facebook page, as well as a few of my own that have not been posted. The first drive hunt and slaughter I experienced was December 14, 2013. 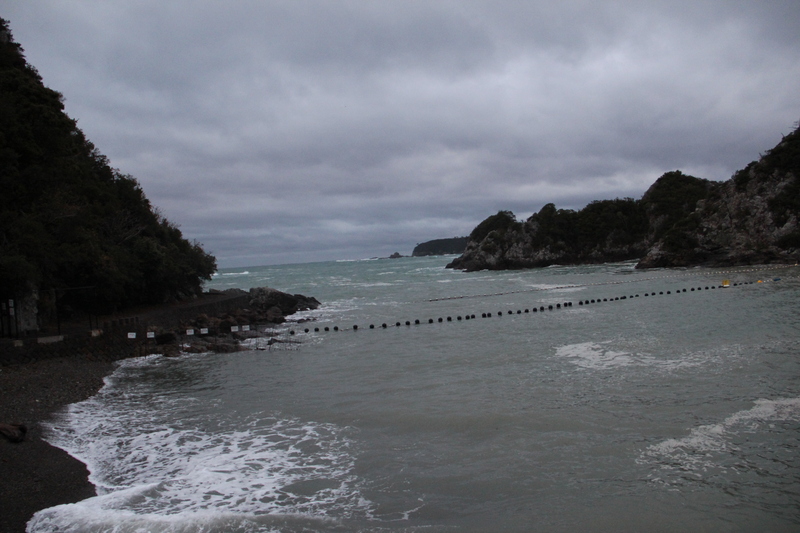 Everyday is different in Taiji and this day was not what I was expecting at all and after this I learnt to have no expectations whatsoever. 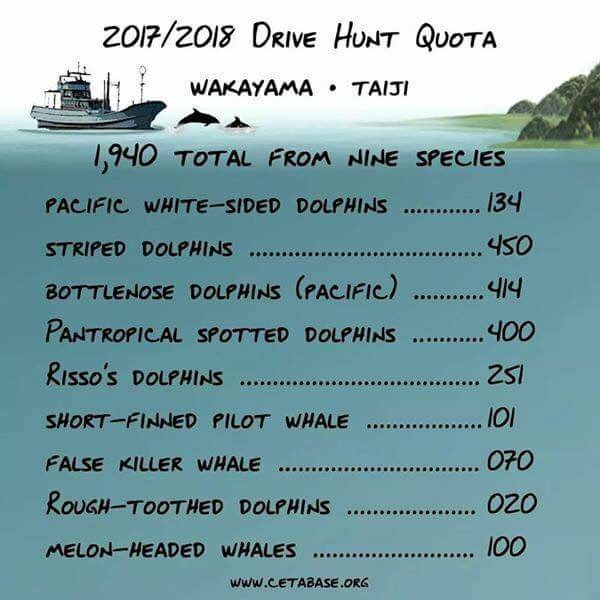 The first day I watched in in disbelief as the killing boats began to drive a small pod of bottlenose dolphins towards the cove, while in the distance the remaining killing boats were attempting to drive a second pod into the cove. There are no words to describe seeing the killing boats in drive formation, your heart literally sinks and you get a sick feeling, since you know what will happen next: captive selection or slaughter. The second pod were able to outsmart the killers and escape immanent death or life or imprisonment. The first pod unfortunately was not so lucky. I watched for hours as 3 bottlenose dolphins fought for their lives. 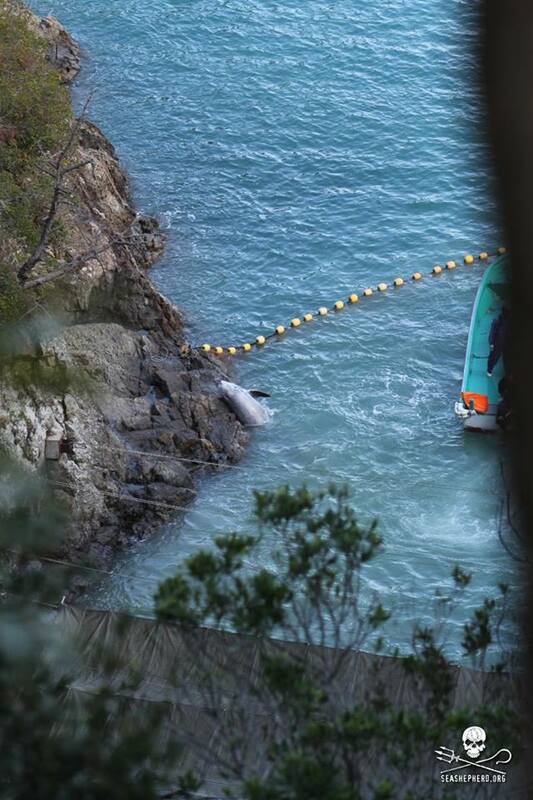 On this first day I stood above the killing and watched in horror and disbelief at the same time as these dolphins continuously attempted to escape and breach behind the killing boats and skiffs, only to be literally ran over and redirected towards the cove. 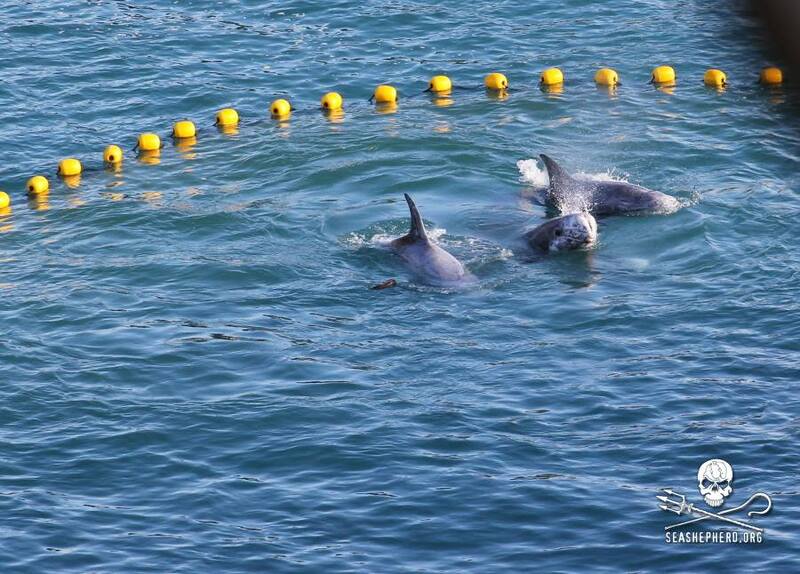 It was amazing to watch 3 bottlenose dolphins give the ruthless killers of Taiji a run for it. 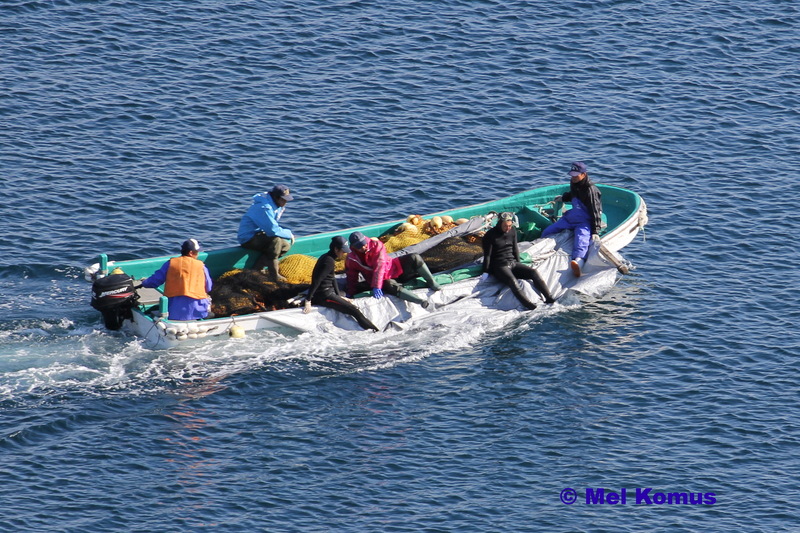 However in the end, 3 bottlenose dolphins were no match for the numerous killing boats and skiffs. 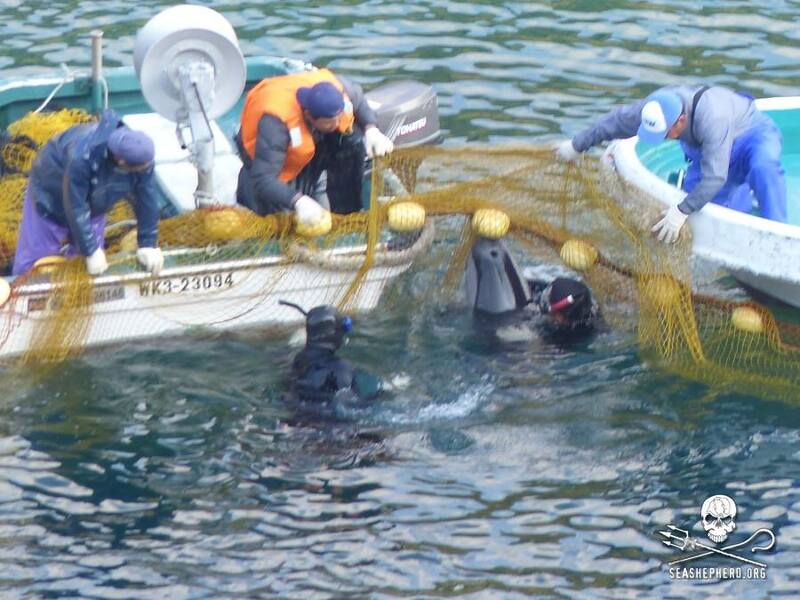 When you see the nets drawn at the mouth of the cove, you know that fate of these dolphins is sealed. 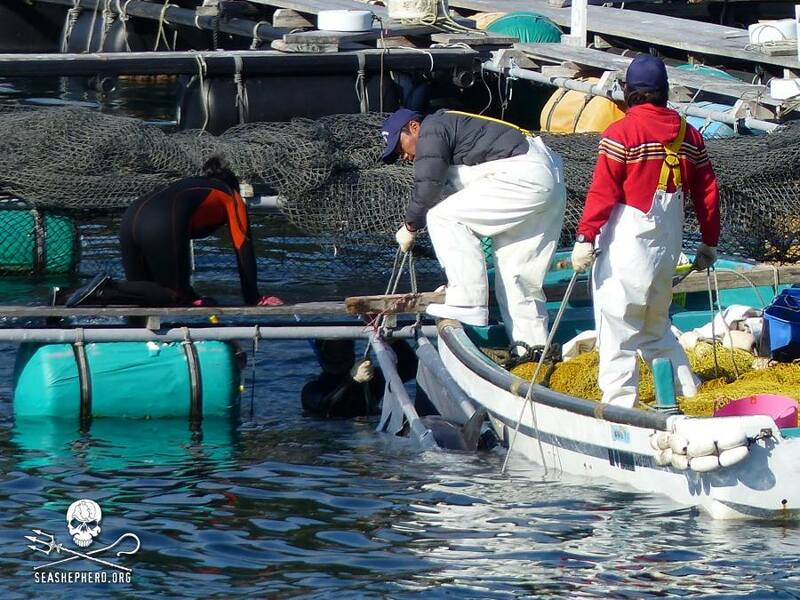 In the end, 1 dolphin was taken captive and placed in the Taiji harbor pens while the remaining two were slaughtered. 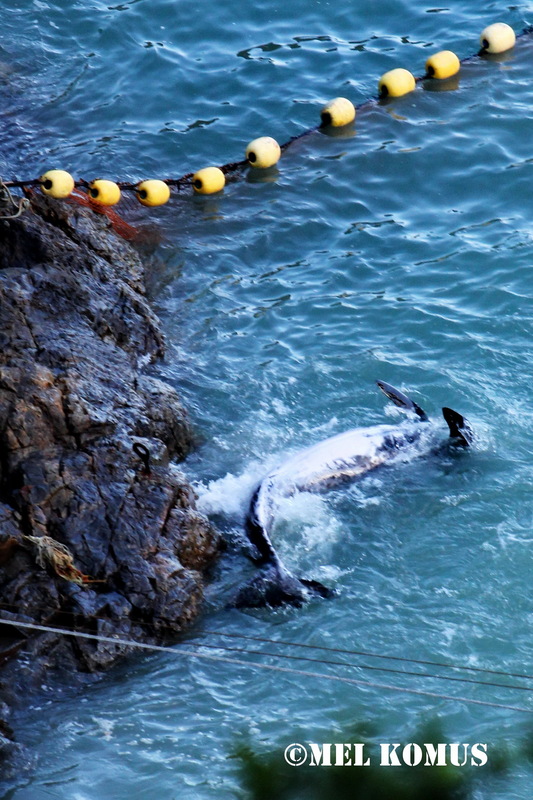 Why would the killers fight so hard for so few dolphins? 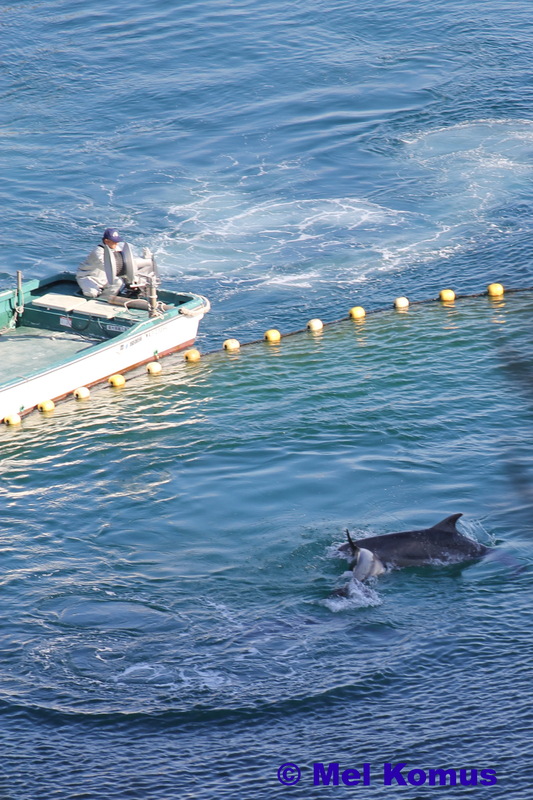 Well the answer is bottlenose dolphins taken captive mean big money for the Taiji fisherman … on average a trained dolphin can sell for up to $200,000-$300,000 … and that there is why these ruthless killers fought so hard for only 3 dolphins. 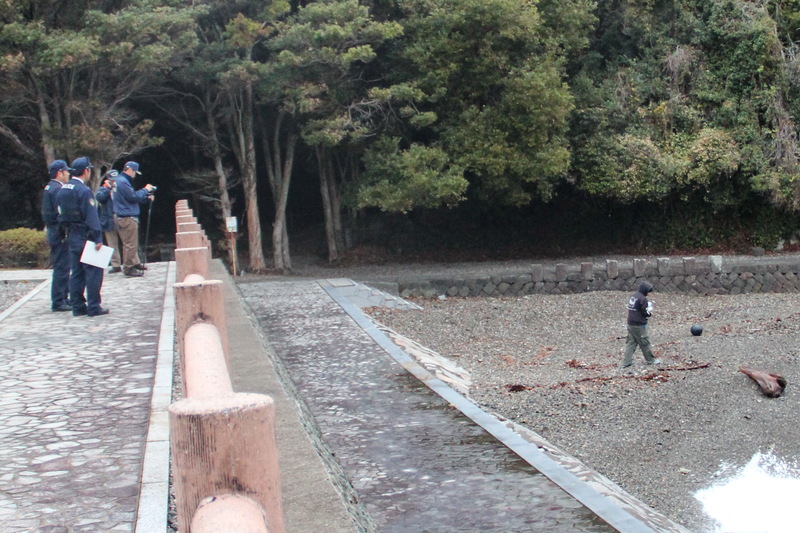 My second day on the ground in Taiji, was much different from the first other than it ended with a slaughter once again. 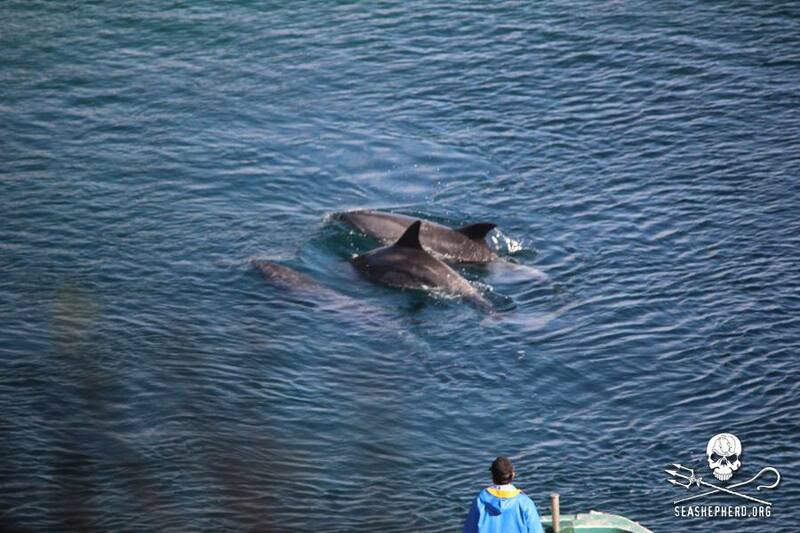 As the killing boats left Taiji harbor, a pod was spotted relatively quickly. 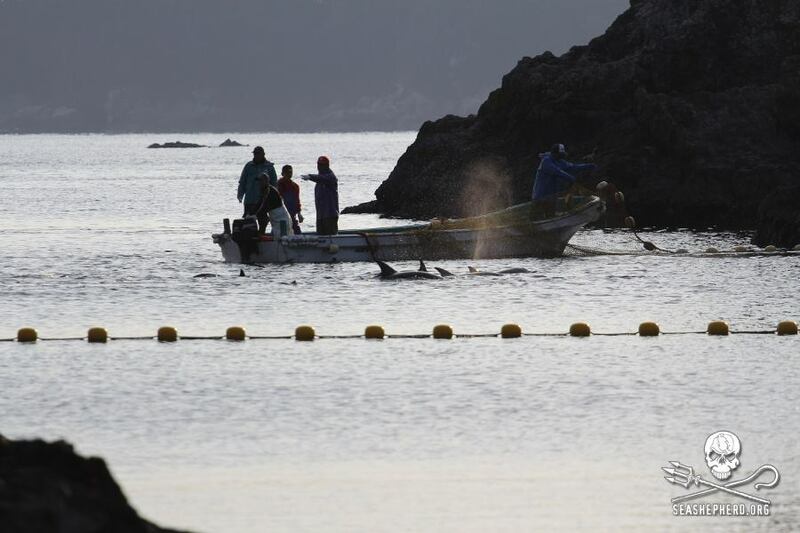 This typically means the killing boats have been tipped off from other local fisherman as to where the dolphins are. 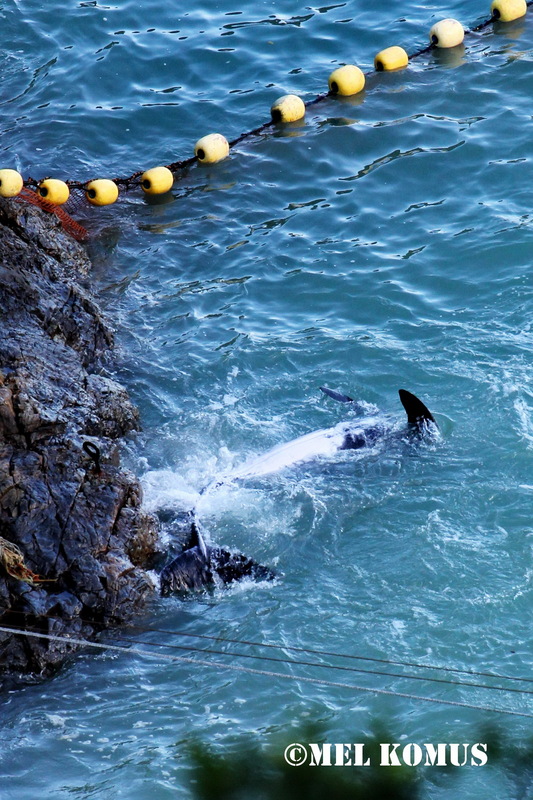 This day, December 15, 2013 would be a pod of 30-40 striped dolphins who lost their lives for human consumption and none were seen as fit for captivity. This would also be the first time I stood on the shore of the infamous cove. It was a surreal feeling standing at the cove for the first, but even more so surreal that I was about to witness yet another slaughter right from the shore of the cove. 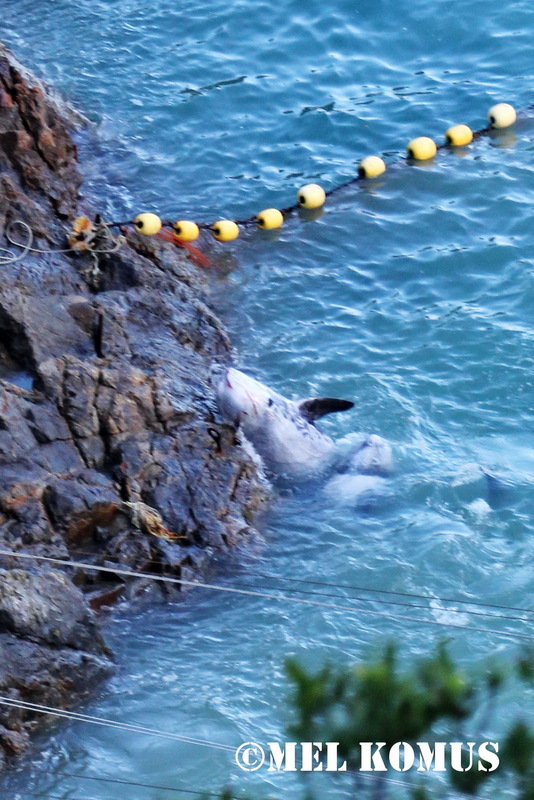 This was also the first time I saw the panic, frustration and fear of the dolphins driven into the cove. 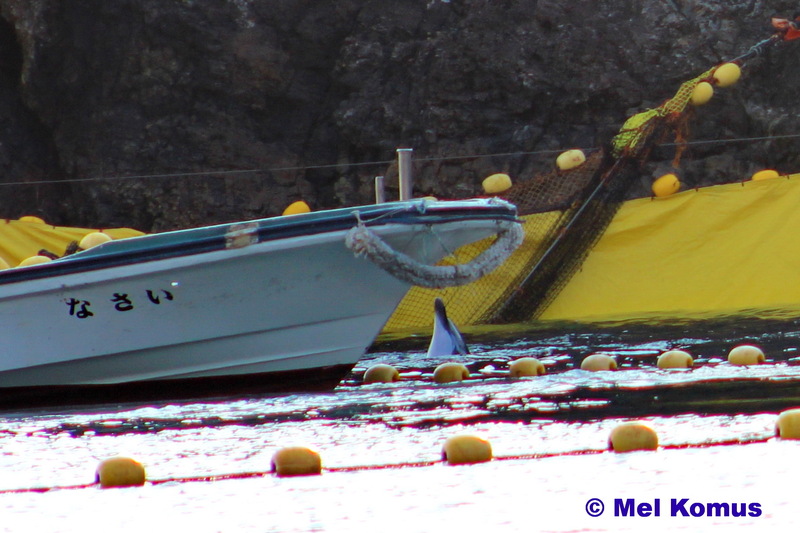 As I sat on the rocks of the cove trying to take as many pictures as possible to document this drive, I heard the last few breathes these dolphins would ever take as they were pushed farther under the tarps of the killing cove. It is beyond heartbreaking to see this happen and know that you’re only weapon is a camera and a photograph. There are some things you just don’t forget from a slaughter or perhaps are unable to forgot … the sounds of the banger boats banging on their poles as they drive the dolphins into the cove, the sound of a dolphin taking its last breathes and the sound of a dolphin thrashing furiously in an attempt to escape death and then the eerie silence that tells you the slaughter is done and that yet another pod has lost its life at the hands of the Taiji fisherman. Dolphins will often attempt to swim through the nets in an attempt to escape. 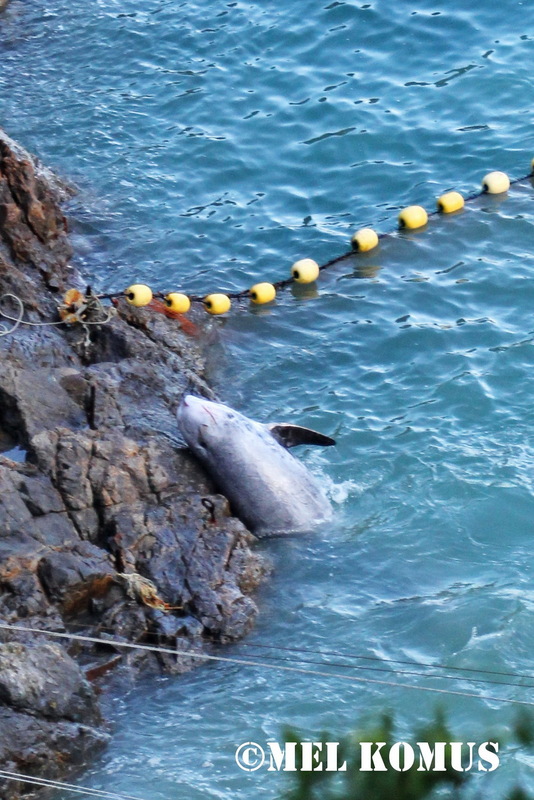 As I said before, each day is entirely different in Taiji and each day your heart seems to break into a million little pieces all over again. At times you feel utterly helpless, knowing that these dolphins are within your reach, so close to you, yet so far away, but also knowing that the only thing you can do is to pick your camera and take the best photos you can. The world needs to see and realize that Taiji has not stopped killing dolphins since the release of the documentary The Cove. 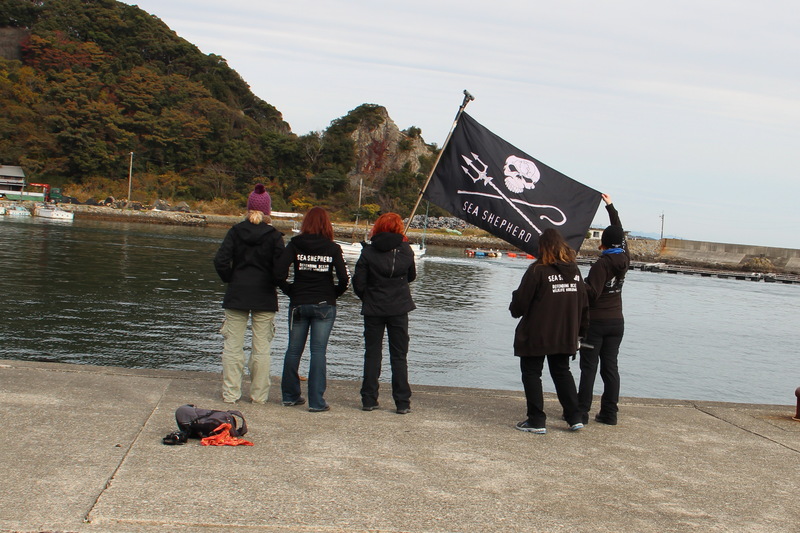 The only thing that has changed is how they attempt to hide it, cover it up and prevent the Cove Guardians from documenting it. 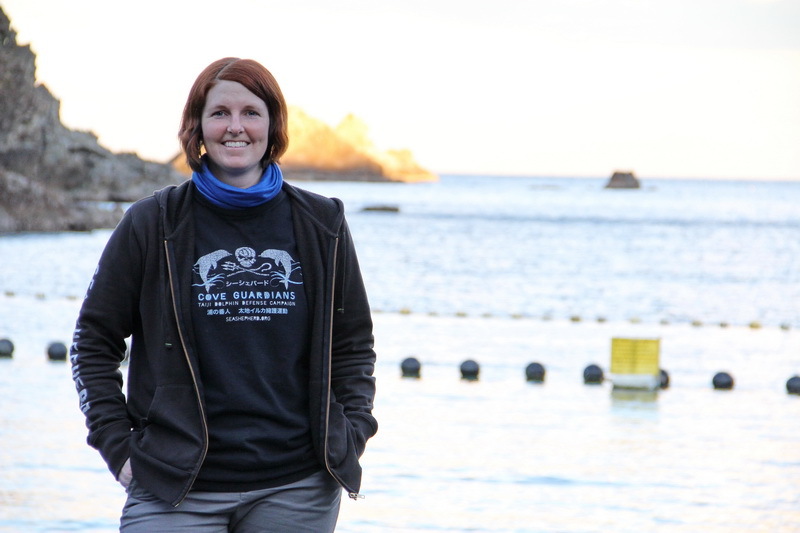 I’ve seen multiple people comment on social media about the Cove Guardians doing more to prevent the slaughter, that is cutting nets, or other direct action. What everyone needs to understand is that as a Cove Guardian you are on the ground in Japan and must abide by Japanese laws. 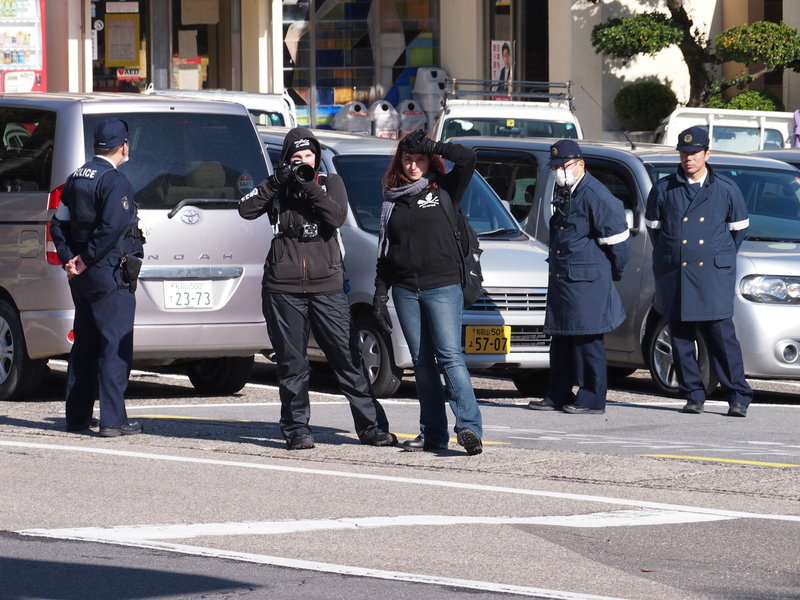 Cove Guardians are constantly followed while in Taiji and when I say constantly I mean from the moment you enter Taiji until the moment you leave there are police around you and following you on foot and by car. Myself and fellow Cove Guardian, Michelle, outside of Fisherman’s Union, notice the 3 policemen watching us. 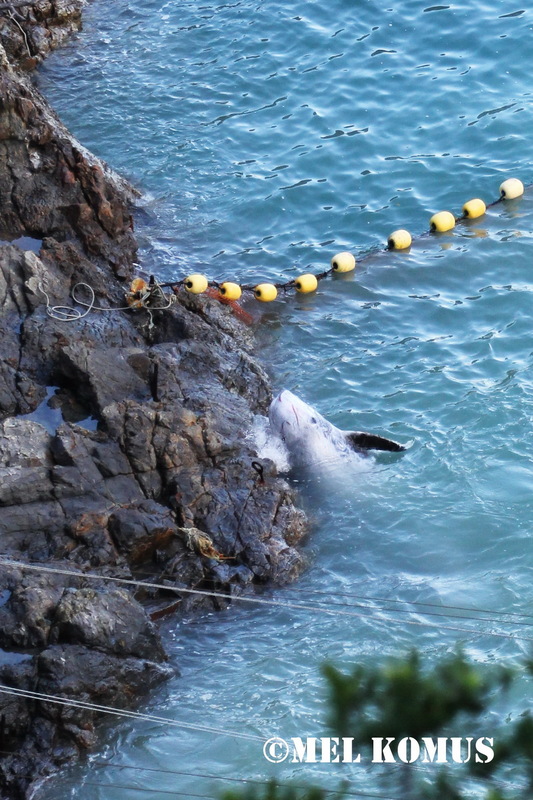 It does not serve any purpose to cut nets within the cove and free one pod of dolphins, only to wind up in a Japanese jail, being even more helpless than you were before. While cutting nets seems like a simple and easy solution, it really does nothing in the end, it may free one pod of dolphins, but what about the day after that and the following days. This is the reason that the Cove Guardian campaign in called Operation Infinite Patience, it was not intended to be a one year campaign. The daily grind of being a Cove Guardian, is challenging as it is a roller-coaster of emotions. But I will go back to do it all over again for only one reason … for the dolphins! 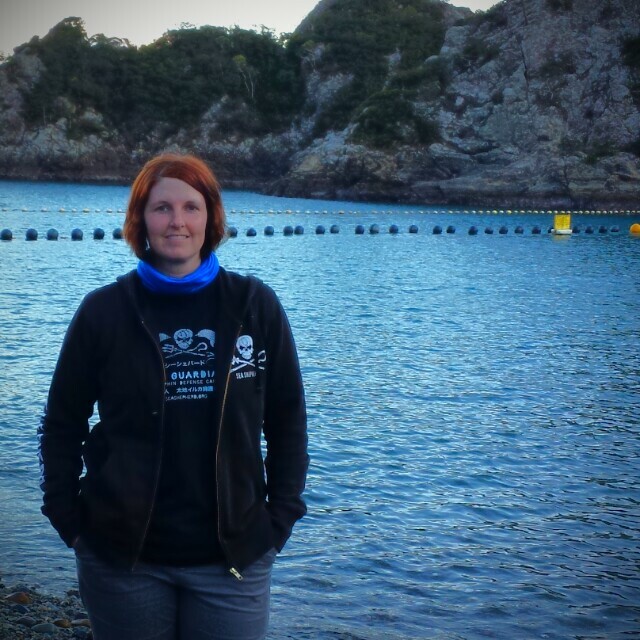 My journey to Taiji had been a year in the making. 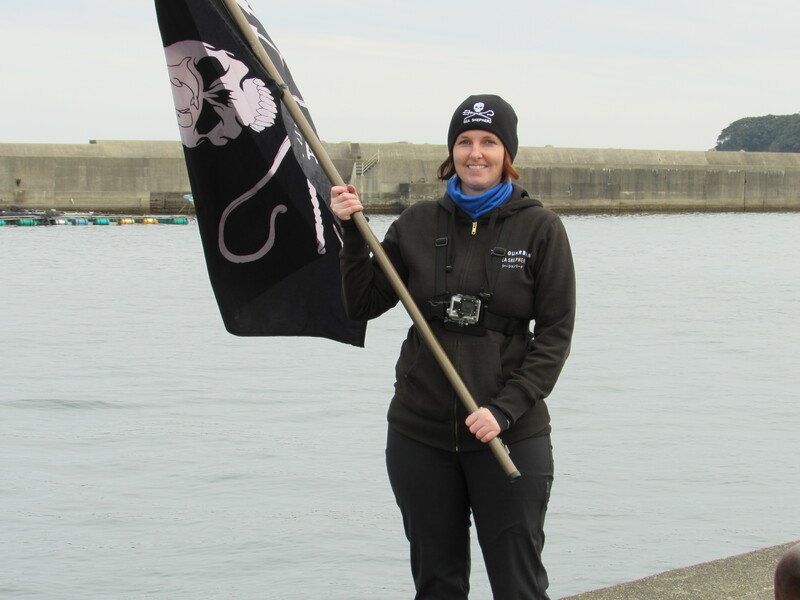 After consistently following the Cove Guardian campaign, in December of last year I made the commitment to join in the fight to be a voice for the dolphins. Becoming a Cove Guardian was an honor. After my 30 hour trip of planes and airports I arrived in Osaka, Japan. A little bit of a culture shock for me, having only travelled within North America. Landing in a foreign country where I did not speak the language was a challenge at first, but the Japanese people are amazingly friendly and helpful! After spending my first night in Osaka, I had the daunting task of taking the train to Taiji. I’ve never been on a train before, so having to switch trains multiple times and not being able to communicate properly, left me feeling a little stressed and nervous. Luckily, by chance I managed to meet some fellow Cove Guardians on the train! What a sigh of relief this was, meeting the first of my new Cove Guardian family and not having to make the remainder of the trip on my own! Thanks to Clive, Michelle and Bator for making the train ride a little less stressful for me! 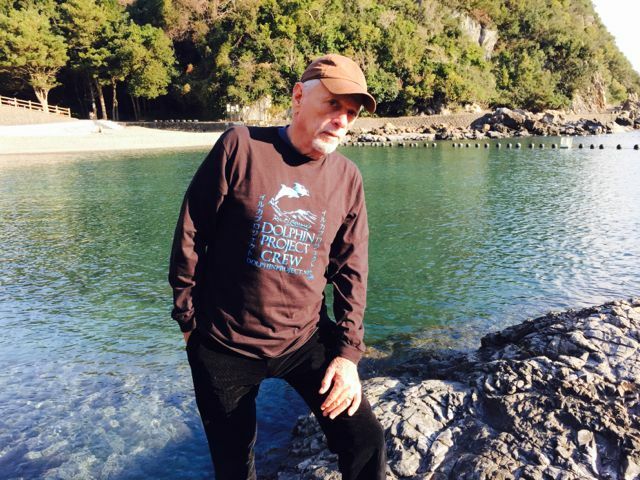 Taiji is exactly as described by Ric O’Barry in the documentary The Cove … A twilight zone … everywhere you look there is a painting, monument or writing on the sidewalks of dolphins and whales. If you didn’t know any better you would think Taiji loved dolphins and whales. Nothing can really prepare you for the experience of being in Taiji and it is not something that can be easily be put into words either. I am sure that each and every Cove Guardian remembers the exact moment they first saw the infamous Cove. For me, the first time was a simple glance while passing by in a car. 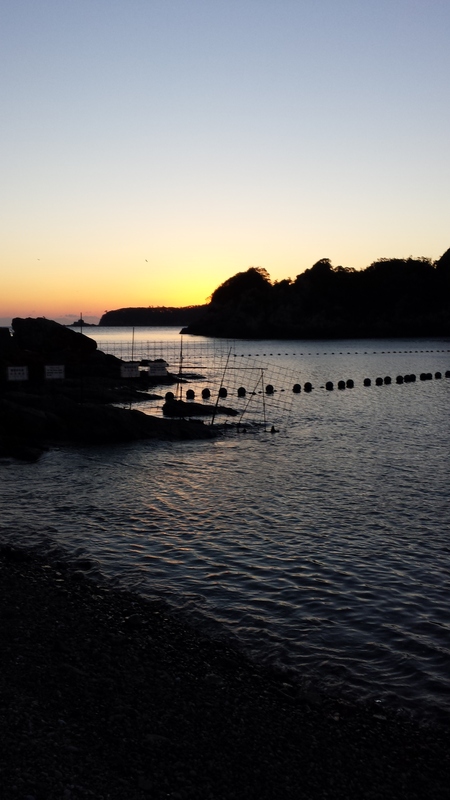 The sight of it almost takes your breathe away, one because it really is such a beautiful place and two because you instantly remember how many dolphins and whales have lost their lives at the hands of the Taiji fisherman there. The moment I actually set foot on the shore of the Cove is something I will never forget. I literally just stood there for a few moments taking it all in and in disbelief that I was actually there. Unfortunately my first time on the shore of the Cove was also the second time I would witness a drive in process and a pod of dolphins fight for their lives and eventually lose their life for the sole purpose of human consumption. The only thing that keeps you going in moments such as this, is to pick up your camera and start taking photos, since it is the only weapon you have in Taiji. Witnessing a pod of dolphins spending their last moments together in fear, frustration, panic and hearing those last few breathes they take as they are pushed under the tarps of killing shore is utterly heartbreaking. 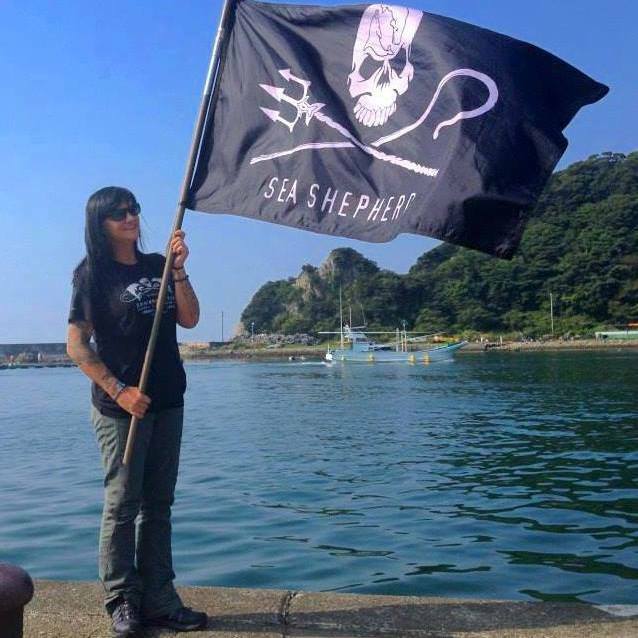 But I take solace in the fact that without the Cove Guardians and Operation Infinite Patience the atrocities of the Cove would continue to go unnoticed and unreported to the world and many would not know the horrible secret Taiji attempts to hide. 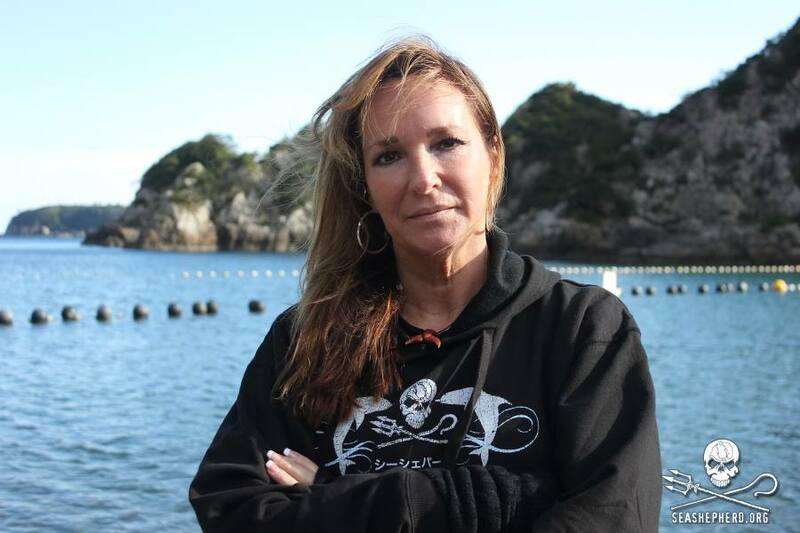 It is because of the Cove Guardians that there is and will continue to be a constant international spotlight on the daily atrocities that are occurring in Taiji and I am proud to have been apart of this campaign. Sitting on the rocks of the Cove. 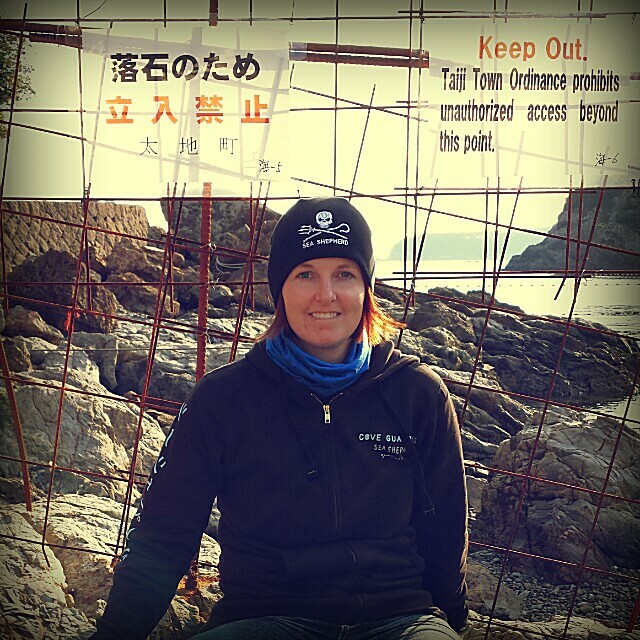 Notice the fence and keep out sign, built to prohibit a direct view into the killing cove. 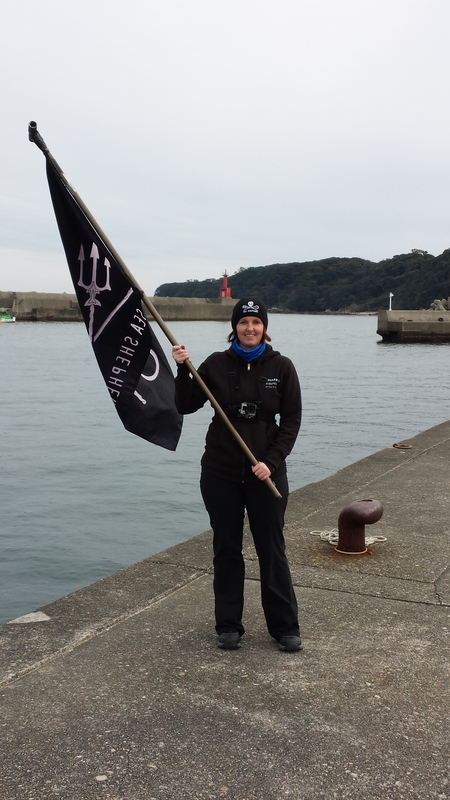 Proudly holding the flag in Taiji harbor as the boats come back empty handed. 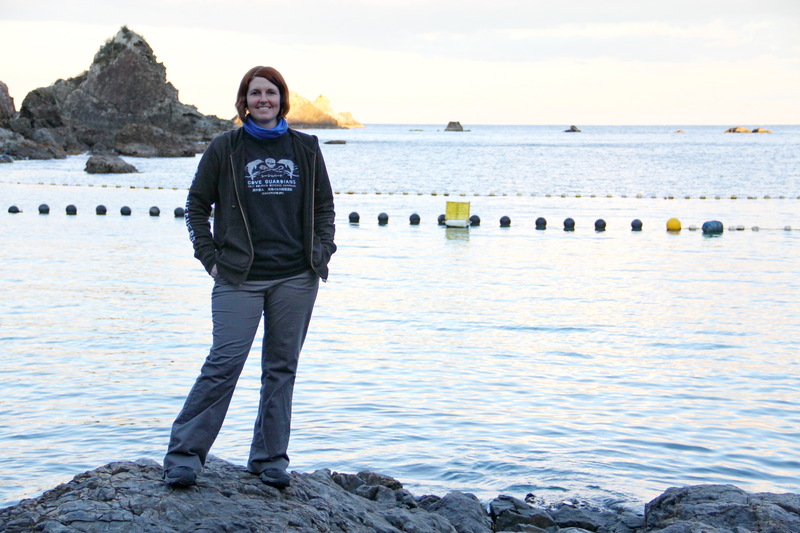 After I manage to go through about 8000 photos, I will post more detailed information of my time in Taiji as a Cove Guardian. 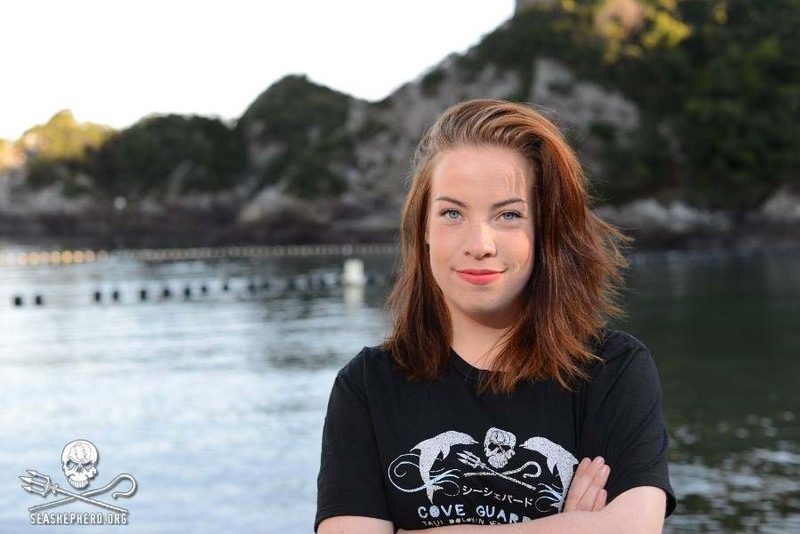 If you have any interest in joining the Cove Guardians on the ground in Taiji, do not hesitate, send an email to coveguardian@seashepherd.org and ask for an application. I promise you that it will be an experience of a lifetime and being surrounded by the passionate, like-minded people involved with this amazing campaign will be one of the best things you do. 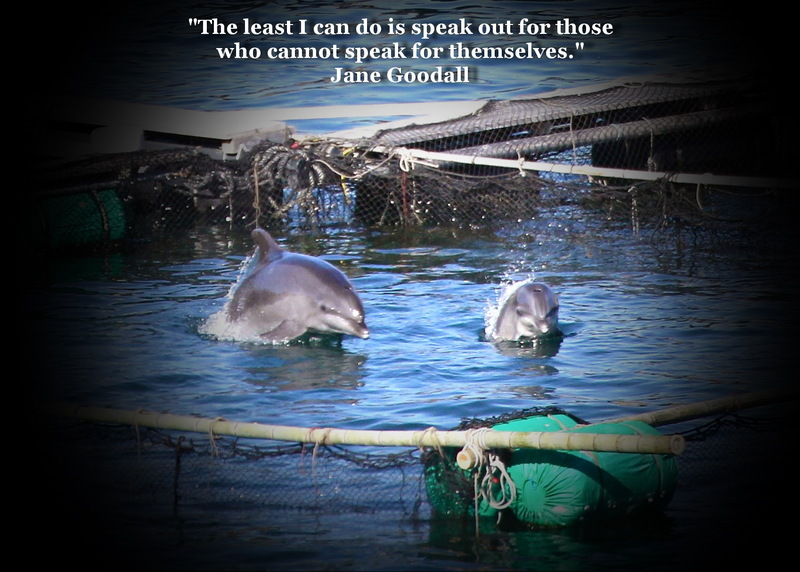 Take the journey to Taiji and be a voice for the voiceless!